Any time Boy and I go on a road trip, our go-to is Mexican. I think I’ve Yelped “burritos” more than almost anything else when we’re on the go. So of course, it was high time we posted a quick recipe for burritos and quesadillas. Spray the inside of your pie iron grill with non-stick cooking spray. 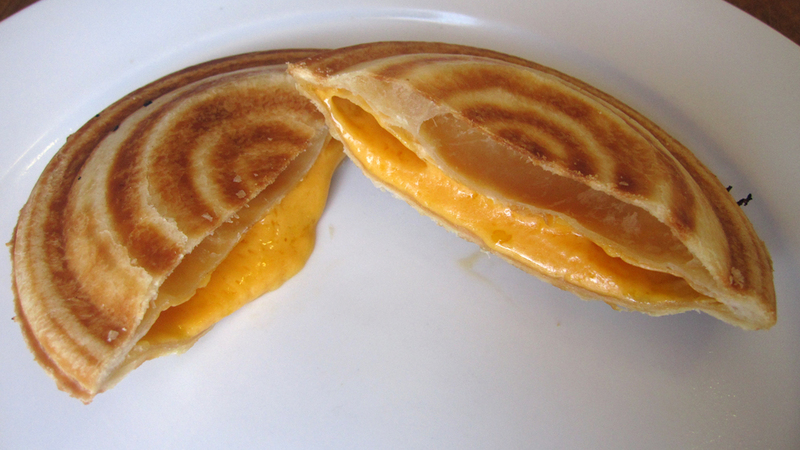 Place one tortilla down into the clamshell of your grill. 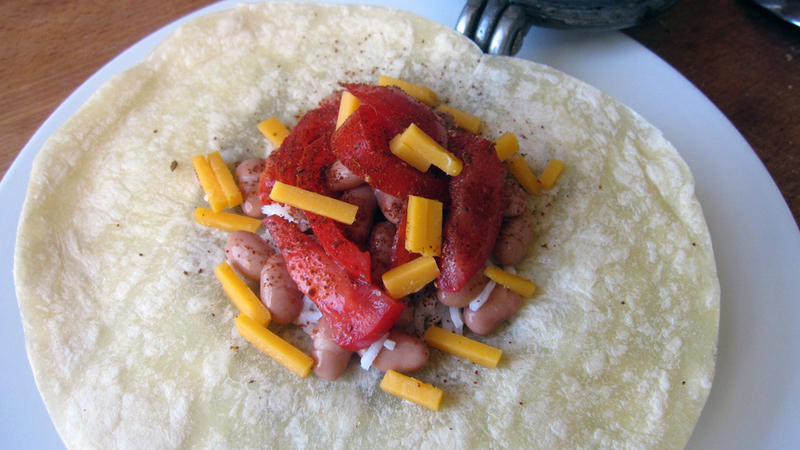 Place the rice, beans, salsa, and cheese into the center of the tortilla. Top your sandwich with the other tortilla and carefully close the iron. Trim the excess tortilla from the edge of the grill. 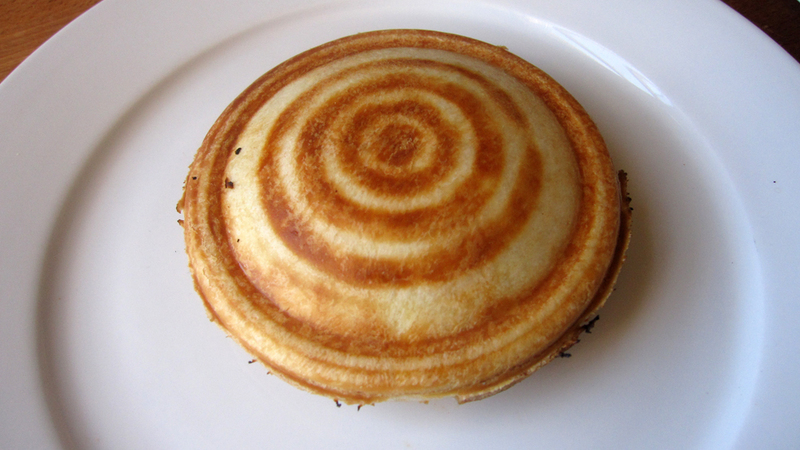 Toast over low heat for 4 minutes on either side or until your tortilla is golden brown. Place one tortilla down into the clamshell of your Toas-Tite. 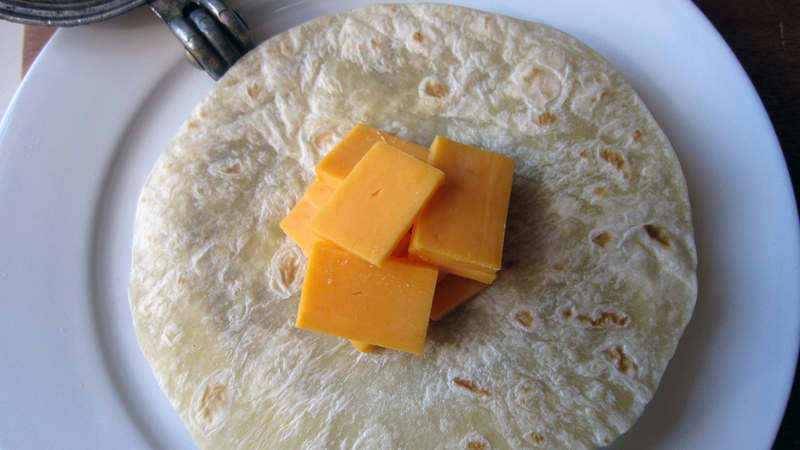 Place the cheese into the center of the tortilla. Let cool, top with salsa or hot sauce if you’re feeling spicy and enjoy! Flour tortillas work really well in pie irons. They crisp up quickly and have great color. They also tend to be larger than slices of bread so you don’t have to worry about getting full coverage if you’re using a Toas-Tite. If you don’t have any cooking spray, just rub a bit of vegetable oil on the inside of your grill or lightly butter your tortilla. 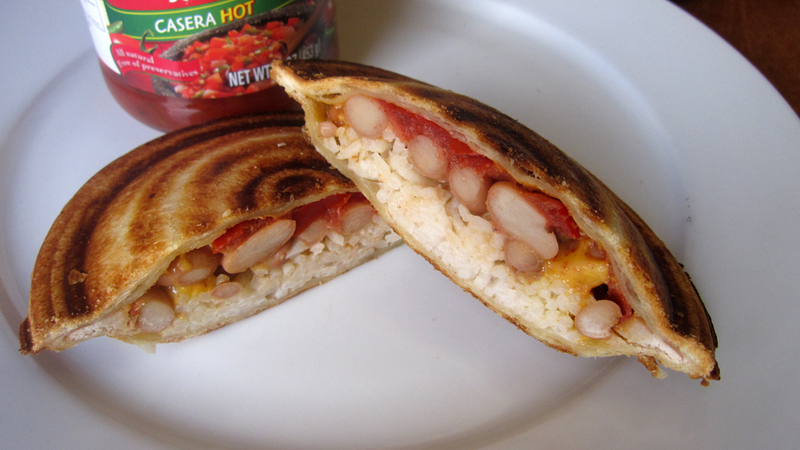 And for variations…obviously use whatever fills your favorite burritos / quesadillas. For these, we went fairly simple and they were delicious. But I can’t wait to try carnitas…black beans instead of pinto beans…refried beans…carne asada…chicken quesadilla… The possibilities are endless. Just give me a jar of salsa on the side and I’m a happy camper. ← The Babycakes Pie Pop Maker: Mini Pies or Mini Toas-Tites? Sounds good. Do you have other filling suggestion?